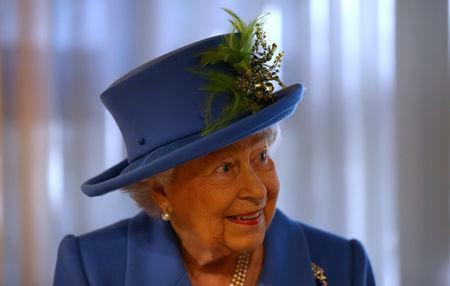 LONDON (Reuters) - The Queen unveiled a plaque bearing a secret message on Thursday as she toured the original London home of Britain's GCHQ to mark the intelligence agency's centenary. 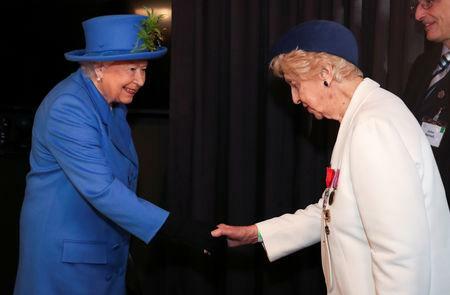 The 92-year-old monarch also met two generations of women in the world of cyber security along with the grandchildren of the agency’s first head Alastair Denniston. After the success of signals intelligence used during World War One, GCHQ was formed in 1919, under the original name of the Government Code and Cypher School (GC&CS). The cover name of GCHQ was given in 1939 to disguise its secret work in electronic eavesdropping. 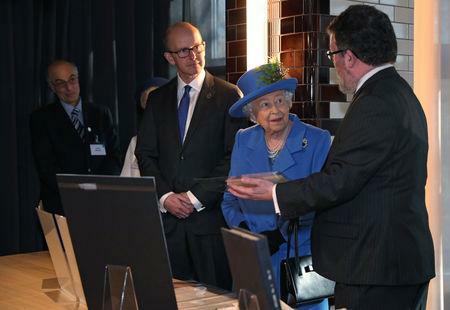 Elizabeth met Ruth Bourne, a veteran from the World War Two Bletchley Park codebreaking centre, alongside the winners of CyberFirst, a GCHQ competition for girls aged 12 to 13 to help ensure women are better represented in the cyber workforce. She also unveiled a commemorative plaque bearing, appropriately enough, a secret message. GCHQ is one of Britain's three intelligence agencies along with MI5 and MI6. Thursday's ceremony was at Watergate House, a former top-secret location near Charing Cross in central London that was its first home between 1919 and 1921 before it moved to Queen’s Gate in Kensington. It later moved to Bletchley Park, north of London, and is now based in Cheltenham, western England.